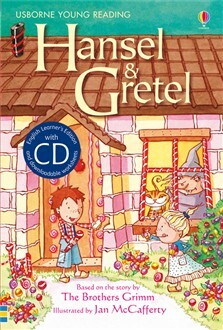 This classic fairytale from the Brothers Grimm shows Hansel and Gretel pit their wits against their evil stepmother and a wicked witch. Cheerily illustrated throughout by Jan McCafferty. Young readers will treasure this gift edition, which is published in hardback with a ribbon marker. Part of Young Reading Series 1 for readers growing in confidence.